The Hydrological Cycle Of The Environment ~ Environment Go! 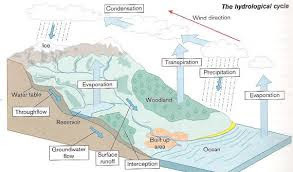 How much do you know about the Hydrological Cycle? Are you aware that it is the hydrological cycle that makes it possible for rain water that has dropped on the earth to be able to reverse back into the cloud and then goes again to return as rain fall? The hydrological cycle just like the name implies, is a continues cyclic movement of water (hydro) between the Land , Sea and the Cloud (air). Having taken note of these therms, I will like to explain them one after the other in details. All water released from clouds such as rain, snow, hail, sleet & snow are all in this category. The therm precipitation, is the release of water from the clouds to the earth. Precipitation as part of the hydrological cycle, sends evaporated water down to earth. Evaporation is the escape of water molecules from the surface of water or wet material to the cloud. Evaporation occur on the water surface at a low rate but is sped up when the water is being heated. Evaporation as part of the hydrological cycle, sends Precipitated water back to the cloud. This is the loss of moisture from plants and leaves to the atmosphere. You can take a look at EVAPOTRANSPIRATION, it explains Evaporation and transpiration in details. This is When water vapour is cooled and it turns into water droplets to form clouds. condensation is brought about by reduction in the temperature of the water vapour which turns it into liquid, on further temperature reduction, the liquid turns into ice to form snow falls. This is when trees or man made objects get in the way of rain reaching the ground surface. These material absolves part of the rain water. Infiltration is the soaking of water into the soil. On a bare soil, water infiltrates the soil before surface run off. Infiltration rate varies depending on the type of soil involved. I will write on this in detail when I will write on "Soil Pore Sizes". Water flowing across the surface of the land, whether in a channel (e.g drainage gutters) or over the land. Surface runoff can result to erosion when not properly channeled. It is indeed one of the major causes of erosion in some areas. The level of saturated ground in the soil - it rises and falls depending on the amount of rain. At times you hear about a water logged area, this is when the water table has risen to a reasonable depth that the ground find it difficult to allow further infiltration. This leads to dirty water dumps on the surface of the earth. I hope this article was helpful? Do you wish to be given the opportunity to write on topics related to the environment on our blog? You can write for us or better still, Join Us by sending a proposal email to [email protected]. 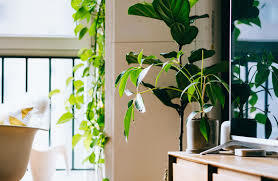 We are looking forward to having you write for us as all articles you write on blog will be accredited to you thereby publishing yourself to the world as a good environmentalist.